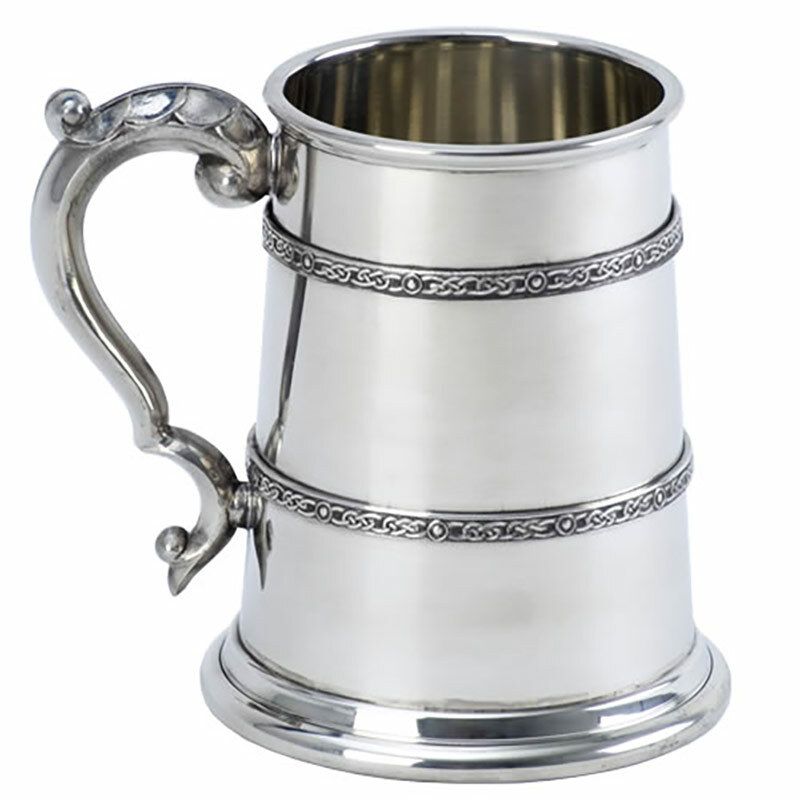 A magnificent Celtic design pewter tankard. These tankards are made in Britain and feature a straight-sided body with two intricate Celtic design bands. They also feature an ornate handle and highly polished rim and base. Perfect for engraving, these 1PT Celtic pewter tankards are offered with free engraving of both text and logos. They are supplied as standard with an attractive plain presentation box or you can choose to add a luxury, fully lined presentation box as an optional extra.